Reading is most definitely one of my most favorite summer past times – no surprise there, right? I haven’t shared what I’ve been reading with you since March so here are 9 books I’ve read and enjoyed over the last few months (find all my past book posts here). I recommend all of them – click over for the summaries and choose your next book. Please leave me a comment and tell me what you are reading and loving right now! Summer Secrets by Jane Green – Read more about it here on Goodreads or Amazon. Don’t Go by Lisa Scottoline – Read more about it here on Goodreads or Amazon. 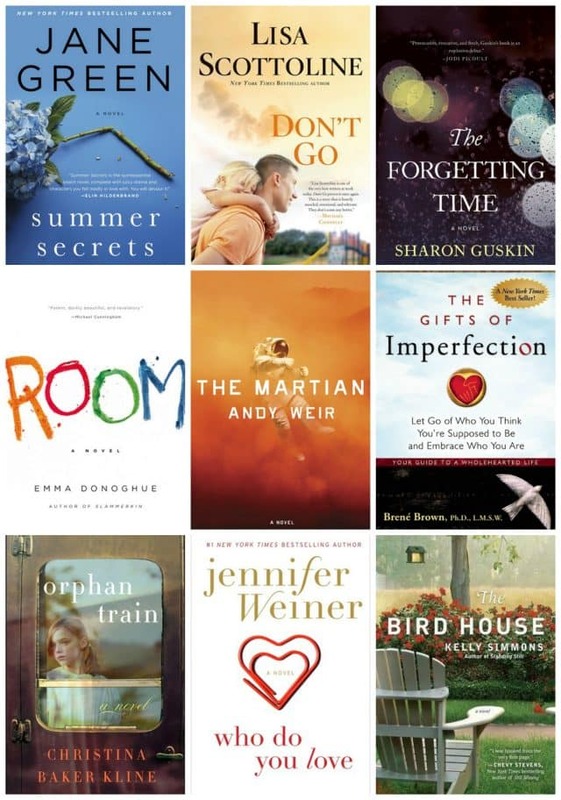 The Forgetting Time by Sharon Guskin – Read more about it here on Goodreads or Amazon. Room by Emma Donoghue – Read more about it here on Goodreads or Amazon. The Martian by Andy Weir – (listened to this one on Audible before I saw the movie) Read more about it here on Goodreads or Amazon. The Gifts of Imperfection by Brene Brown – Read more about it here on Goodreads or Amazon. Orphan Train by Christina Baker Kline – Read more about it here on Goodreads or Amazon. Who Do You Love by Jennifer Weiner – Read more about it here on Goodreads or Amazon. The Bird House by Kelly Simmons – Read more about it here on Goodreads or Amazon. 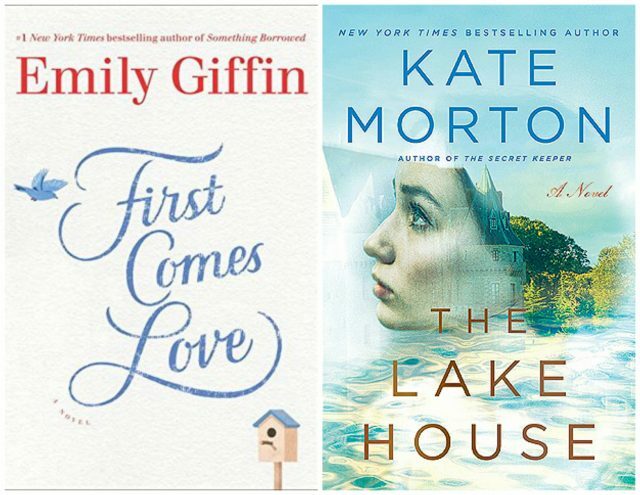 First Comes Love by Emily Giffin – Love this author. Finishing up with this new one from her, was lucky to find it at the library the day after it was released, score! Read more about it here on Goodreads or Amazon. The Lake House by Kate Morton – Listening to this one on Audible. Read more about it here on Goodreads or Amazon.